Subtitle: Prime Minister Olmert of Israel has "hinted" that he might divide Jerusalem in the Peace Conference in November. Likud Party chairman backs Olmert, but Conservative Jews are up in arms. Palestinians are insisting that they be given East Jerusalem as their capitol. We have entered the time foretold in Zechariah 12! As the details have begun to emerge about the negotiations which are setting the stage for a successful peace conference, one prophetic matter has become very clear to me: Jerusalem is now becoming the "Stumbling Block" and the "Cup of Trembling" which Zechariah 12 foretold about 2,500 years ago! NEW WORLD ORDER PLAN: [Peter Lemesurier, "The Armageddon Script", scenario detailing how the Antichrist is going to deceive all mankind, especially the Orthodox Jew, by deliberately staging a fake "fulfillment" of Messianic Bible prophecies. This poem is on the last page, 253. "This hour is not the end of anything , But just the pause, Before the massive wheels of circumstance Grip firmly once again, Iron to Iron, Pulling to Jerusalem"
One of the most exciting aspects of what The Cutting Edge Ministries reports is the detailed, finite way in which the Illuminist New World Order Plan fulfills Bible prophecy. Literally, dozens of prophecies are being fulfilled by the global plan to produce Antichrist, giving us odds in the trillions against such an event occurring accidentally. 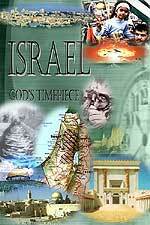 One of the major themes of Biblical prophecy concerns Israel, the Middle East, and Jerusalem. Above, we have given one of the major prophecies concerning Jerusalem, and then we gave you the New World Order major theme, "Iron to Iron, Pulling to Jerusalem". No small capital of such a small nation as Israel should ever capture and hold the attention of all the major, and many of the minor, nations of the world the way Jerusalem has done since Israel has come back to her land in 1948. The only reason Jerusalem has so captured the attention of so many national leaders, and is the focus of so many news headlines weekly, is that God's prophecy concerning Jerusalem in the End of the Age is being fulfilled, right in your Daily News, right in front of your eyes! 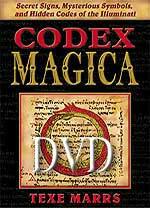 Before we get started on the news of the day, let us review once again the New World Order book, The Armageddon Script . 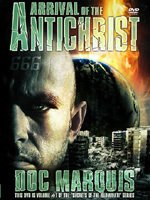 This book was written to demonstrate exactly how the Antichrist is going to appear, how he is going to deliberately stage a fulfillment of so many Messianic Biblical prophecies that he will deceive the Orthodox Jewish leadership -- and as many Christians as possible -- into thinking he is the Jewish Messiah and Jesus Christ returned, respectively. 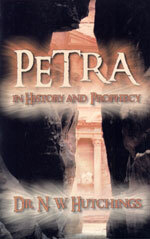 Lemesurier goes into great detail as to which prophecies must be fulfilled, in which sequence, giving notice that he has studied Biblical prophecy in great detail. At the very end of the book, Lemesurier equates this entire episode of the appearance of Antichrist to a play on a stage about to begin. Since this equation to a deliberately-scripted play is so eerily close to the truth as to how the Illuminati is working to gradually move the world into the Kingdom of Antichrist, we have used this quote often, and use it again here. "Their script is now written, subject only to last-minute editing and stage-directions. The stage itself, albeit as yet in darkness, is almost ready. Down in the pit, the subterranean orchestra is already tuning up. The last-minute, walk-on parts are even now being filled. Most of the main actors, once suspects, have already taken up their roles. Soon it will be time for them to come on stage, ready for the curtain to rise. "Their Script Is Now Written"
1) President George W. Bush and his Secretary of State, Condoleezza Rice -- the President is putting the full force of his White House behind this peace conference. The manner in which diplomacy works is that a world conference is NOT held to actually negotiate, but is held to trumpet an agreement upon which agreement has already been reached! In other words, when we hear the final date set for this conference, we shall know that the agreement is already reached with the details already having been ironed out well in advance. 4) Saudi Arabia and some of the other 22 members of the Arab League expected to attend. "WASHINGTON (AFP) — President George W. Bush expressed confidence Wednesday that an upcoming US-sponsored Middle East conference would lay the foundation for a Palestinian state and broader regional peace. His optimism came despite Palestinian president Mahmud Abbas' warning that he would skip the talks unless it yielded concrete results, and accusation that Israel was hampering peace efforts. US Secretary of State Condoleezza Rice, currently on a Middle East shuttle diplomacy mission, said gaps between Israel and the Palestinians were still large after four days of talks with leaders in the region. But Bush, speaking at a White House news conference, said he was encouraged by Rice's briefings to him in the run up to the peace conference in the fall, while cautioning about Washington's facilitator role in the talks." Notice that the President specifically stated that one of the two major purposes of this peace conference was to "lay the foundation for a Palestinian state". This conference is designed to state that a Palestinian State is a key goal and make its actual creation an inevitable diplomatic development. Chairman Abbas has stated that he wants no more than six months to pass before the Palestinian State can declare its existence! "LONDON (AFP) — US Secretary of State Condoleezza Rice said Thursday that she had been "encouraged" by talks during her tour of the Middle East despite "tensions" between Israelis and Palestinians. 'The teams are serious, the people are serious, the issues are serious', she told reporters. 'And so I am not surprised that there are some tensions, I am not surprised that there is some ups and downs. It is the character of this kind of endeavour, but I am encouraged by what I heard'." "RAMALLAH, Oct. 18 (Xinhua) -- U.S. Secretary of State Condoleezza Rice will come back to the Palestinian territories and Israel in the beginning of November, Palestinian negotiator Saeb Erekat said Thursday." Secretary Rice strongly stated that the time is NOW for a Palestinian State to be established. "US Secretary of State Condoleezza Rice sought support from Egypt on Tuesday in her quest to nudge Israelis and Palestinians closer together before November's Middle East peace conference ... In one of her strongest statements yet on the issue, Rice declared that the creation of a Palestinian state was a key US interest ... Frankly, it's time for the establishment of a Palestinian state". I have been following the news intensely for the past 30 years in the Middle East, and I can tell you that the words of urgency, as Rice used above, are unusual in the negotiations between Israel and the Palestinians. I simply cannot remember when the American Secretary of State used words like, "Frankly, it's time". The emphasis seems to be on the immediate timeframe as never before. Emphasizing the importance of these negotiations, President Bush is sending his security adviser to Israel. "LONDON (AP) — President Bush is sending his national security adviser to the Middle East next week and Secretary of State Condoleezza Rice will make a return visit soon afterward to keep up pressure on Israeli and the Palestinians to start peace negotiations. National security adviser Stephen Hadley and Rice will make separate trips to the region to bridge wide gaps between the two sides on a document outlining how they intend to resume talks that will be presented at a U.S.-hosted conference this fall, a senior official said." Palestinian Chairman Abbas is also embarking on a strong public relations campaign. He will be visited by a number of important dignitaries in the next 30 days and will be presented by the Mass Media as a key figure in these negotiations. Since Abbas is a Freemason, he will simply act out the lines given him! "The Israeli prime minister, Ehud Olmert, has inferred he might be willing to split Jerusalem. The Independent reports today that the move would remove a significant obstacle to reaching an agreement with the Palestinian president, Mahmoud Abbas, over a 'two-state solution'. Mr Olmert indicated his willingness to discuss the future of Jerusalem, the paper says, "by questioning for the first time whether certain Palestinian neighbourhoods needed to be part of what Israel officially sees as its undivided capital". Israeli President Peres reacted to the immediate firestorm of protest. "During a visit to Safed, the president said, "The only thing the State of Israel must ensure is a Jewish majority in Jerusalem. To the best of my knowledge, there is no agreement on Jerusalem, but in any case it is clear that the holy sites must remain under our control. Currently we all want a unified Jerusalem." Jerusalem is emerging as posing the greatest single problem in these negotiations. "... massive collective belief in this [Armageddon] concept leads toward a self-fulfillment of that concept. Belief in Armageddon is intertwined around Israel and the Middle East, and is causing nations toward this region, possibly setting the stage for massive, even nuclear, war." We know that Olmert and Abbas are planning to separate Jerusalem into Jewish and Palestinian areas, the end result of this upcoming Peace Conference may be to sidestep this issue and internationalize Jerusalem. At this point, the plan which Lambert called the New Jerusalem Covenant will spring into reality. Thus, if Olmert and Abbas cannot agree on who will control which areas of Jerusalem, someone will probably step forward to offer the logical alternative: neither Jew nor Muslim will control Jerusalem; instead, an international authority -- the United Nations -- will control Jerusalem, and will guarantee all faiths access to the Holy City. U.N. troops are already patrolling the area of Lebanon on the border area. Remember, President Bush has already announced that no nation will even be invited to this Peace Conference who disagrees with carving up Israel so a Palestinian State can be established. Since the conference will have no strong voice of disagreement, its "success" seems guaranteed! The scene seems set. The players seem to be acting in their final scenes. Iron pulls against Iron, all pulling toward Jerusalem, just as God foretold.